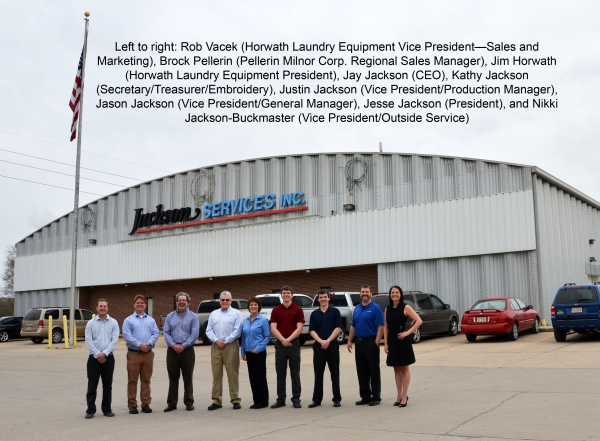 Jackson Services, Inc., a fourth generation family business headquartered in Columbus, Nebraska, was born in the home of the late Minnie Jackson in 1924 as a family laundry service. The business (originally named Jackson’s Pantorium) grew and evolved to include a multitude of retail and B2B services, including dry-cleaning. In the 1970’s the business dropped all retail and dry-cleaning services, and focused solely on the uniform, dust control, and other B2B textile rental services. 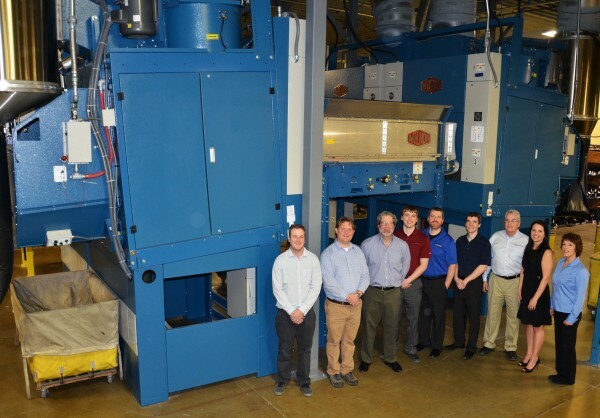 Through all those 90+ years and many business evolutions Jackson Services has trusted Horwath Laundry Equipment, the local authorized Milnor distributor, to provide their commercial laundry equipment needs. 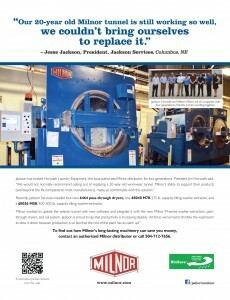 Milnor’s business relationship with Jackson Services has spanned the last 50 years. 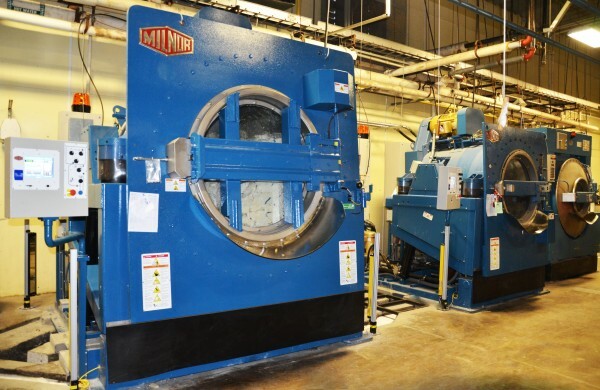 Prior to that, they had purchased wooden washers manufactured by Andrew Horwath, Horwath Laundry Equipment’s founder. 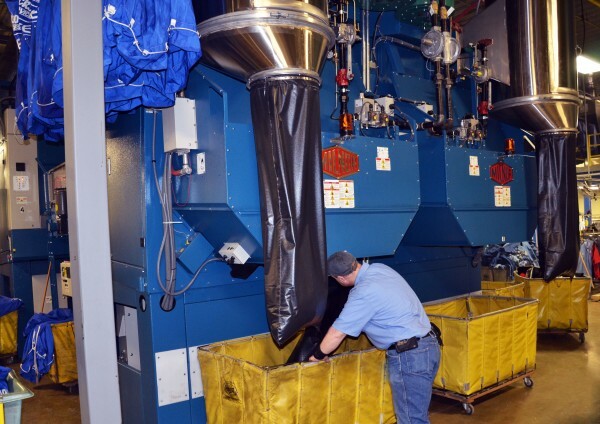 Last December, Jackson Services installed four new 6464 pass-through dryers (in a pod layout), one 48040 M7K 275 lb. 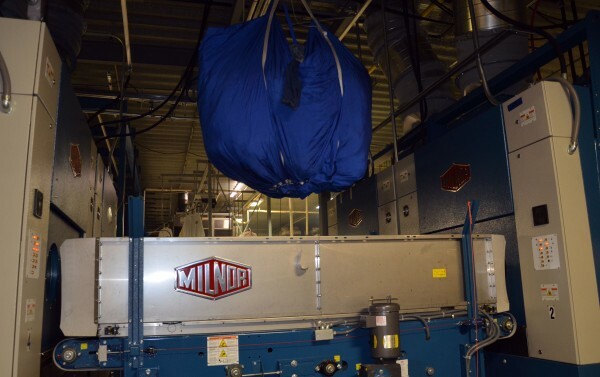 capacity tilting washer-extractor, and a 68036 M5K 400-500 lb. 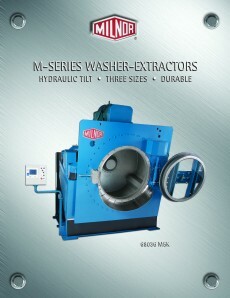 capacity tilting washer-extractor to enhance their washroom’s production. Another major component to the recent washroom upgrades was the E-Tech rail system to expedite linen transport in the laundry. The new rail system permitted the dryer pod layout, which eliminates the need to wait for an available dryer. 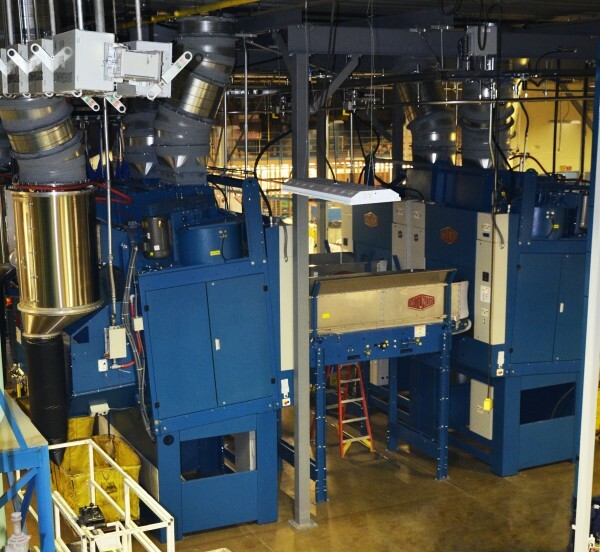 Since the upgrade, dryer production is increasing steadily. The quicker dry times have made it necessary to turn off the dryers a couple times per day, so the washers (and post dry portion of the laundry) can catch up. 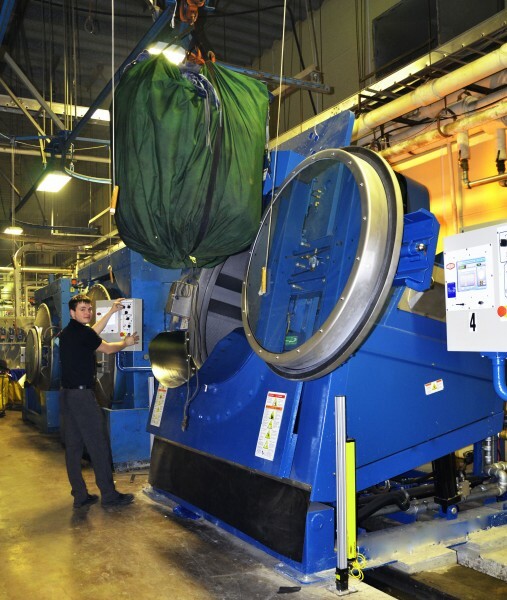 The laundry employs 76 full time employees and processes approximately 6 million pounds of uniforms, mats, mops, and towels annually.